Sharing my skills and experience as a UN Volunteer creates positive change in society. I spearheaded efforts to strengthen the capacity of civil society through training and mentoring in areas of governance and accountability. The effort culminated in the reorganization of civil society actors and the development of a shared strategic vision. Monrovia, Liberia: Sharing my skills and experience as a UN Volunteer creates positive change in society. As a UNV Peace Consolidation Support Officer with the United Nations Mission in Liberia (UNMIL), I support local authorities to enhance reconciliation and social cohesion through confidence-building activities. I spearheaded efforts to strengthen the capacity of civil society through training and mentoring in areas of governance and accountability. This helped changed the image of civil society among local authorities and communities. The effort culminated in the reorganization of civil society actors and the development of a shared strategic vision. Gbarpolu County, where I was first deployed, was the first county in Liberia to develop a County Civil Society Strategic plan. Monitoring the participation of civil society, women and youth in governance and electoral processes is also a critical aspect of my UN Volunteer assignment. Working with women has provided some of the best moments of my experience in Liberia. 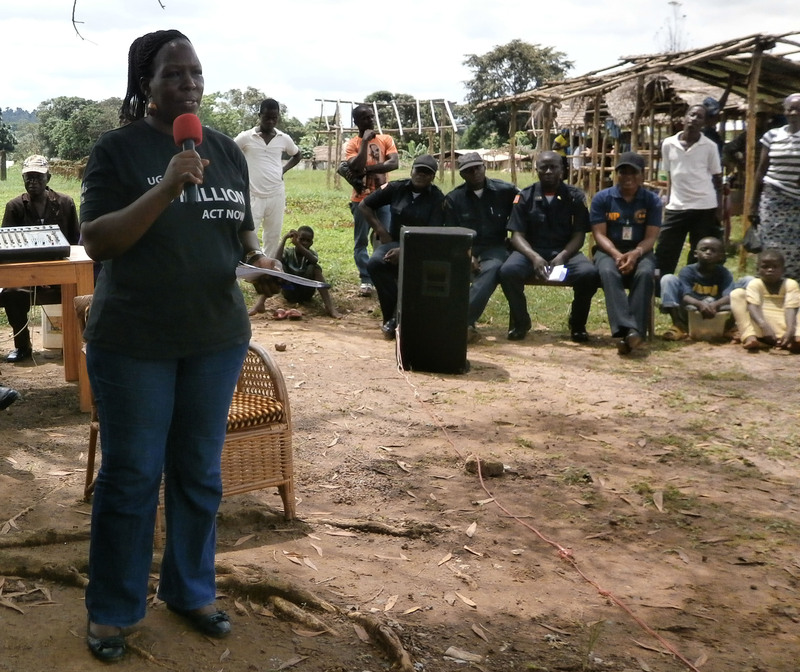 The Line Zero Boundary Conflict Resolution initiative gave me hands-on experience in conflict resolution, using the Alternative Dispute Resolution mechanism led by a local female leader, Mrs Fatu Nyeh. Women have the potential to move the country forward, and this potential should be nurtured and harnessed. As the principal resource person for the Portfolio of Peace Consolidation Support (PCS) in the County, I provide support to local actors in the implementation of the UNMIL mandate, and work with other UN agencies to consolidate state authority. In 2014, I was part of the UNMIL team that had to step in to coordinate local actors in the fight against Ebola in Gbarpolu County. Our work was very successful since this was one of the counties with the least Ebola Virus Disease transmissions. Contributing to peace building and consolidation in Liberia makes me feel worthwhile and valued. This volunteering experience has given me international exposure and insight into the work of the United Nations Peacekeeping Missions. I have broadened my experience and honed existing skills, while gaining new ones. It has also given me the opportunity to improve my social skills and learn more about myself, meet new people and make new friends. To summarize my UN Volunteer assignment, a Dakota proverb comes to mind: 'We will forever be known by the tracks we leave'. Bio: Grace Ikirimat Odeke (Uganda) serves as UNV Peace Consolidation Services Officer in Grand Gedeh County with the United Nations Mission in Liberia (UNMIL). She has a Masters degree in Demography and a Masters degree in Public Administration. She has more than 20 years of experience in programme development, management, governance, advocacy and policy analysis.